On 4th November, 1979 revolutionary students stormed the US Embassy in Tehran. The students were responding to a call to action from Iran’s new leader, Ayatollah Khomeini, to attack US and Israeli interests. At the end of the protest, which saw thousands of protesters surround the building, 66 Americans were taken hostage. However, six people managed to escape and find refuge in the Canadian embassy. Argo is the almost unbelievable, yet true, story about the attempt by the CIA to rescue those six people and bring them home safely. Argo is such an enjoyable film. I have watched it three times now and I could be tempted to watch it again. Easily. The film manages to do something quite unexpected. It takes a true story full of drama, tension and danger and balances it with wonderful scenes of humour - as the rescue plan is developed. The screenplay, by Chris Terrio, is dramatic, funny and intelligent. Meanwhile, the film is superbly directed by Ben Affleck. It must have been a tough job indeed to keep the balance just right between the humour and the danger. How relieved must Affleck have felt when his cast was assembled. What fabulously safe hands those roles fell into. “The real Tony Mendz is very quiet, very inscrutable. He’s opaque and wants to fade into the background. When I saw that, at first I thought that this was disappointing because there is nothing for me to base the character on. Meanwhile, Alan Arkin and John Goodman are fantastic as director, Lester Siegel, and makeup artist, John Chambers. Based in Hollywood, it is their job to help create a cover for the six stranded Americans. Both deliver laugh out loud lines with wonderful comic timing. Both manage to inject humour into the film without demeaning the tension and drama in Iran. With Argo, Affleck delivers a tense and thrilling drama full of intelligence and wit. 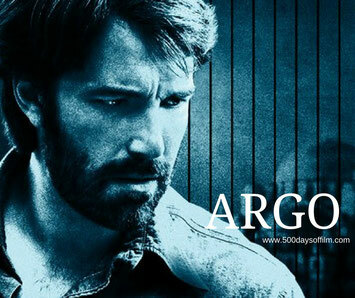 Argo is Ben Affleck’s third outing as a director following Gone Baby Gone and The Town. Affleck did not want to make a “political movie” but of course, given the sensitivity of the subject matter, he knew that he needed to set the film into context. As a result, Argo starts with a summary of the relevant history.